Fort Collins Police Services is a progressive and professional organization, currently employing 214 sworn officers and over 115 civilian staff. Our vision is to make Fort Collins the safest community in the nation. We serve the community by protecting life and property, preserving peace and order, preventing and detecting crime, enforcing laws and ordinances, and promoting the safe, efficient use of the City's streets and highways. 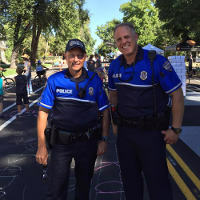 Fort Collins Police Services emphasizes a comprehensive community-oriented policing strategy woven into all we do as the preferred means of addressing community needs. We're now accepting applications for the 2019 Youth Police Academy. YPA is a free annual event that gives high schoolers a chance to experience law enforcement in a fun, interactive way. This year's YPA will take place June 3-7 and includes hands-on activities, dynamic demonstrations, and more. Poudre School District students should contact their School Resource Officer to submit an application. Non-PSD students grades 9-12 can email a21heW5hcmRAZmNnb3YuY29t. A kiosk will be available in the FCPS Records lobby and Campus West Connections office for anyone who would like to make a report. These reports will not be investigated by Fort Collins Police. The online system will allow residents to document an incident for non-criminal purposes (i.e. insurance). Please contact the Colorado Department of Revenue for questions related to reports made through this system at (303) 205-5600. Keep Kids Safe On The Internet! 1 in 5 kids are subjected to unwanted sexual solicitation on the Internet. 1 in 5 teens ages 13-19 are taking photos of their intimate parts and sending them to friends. 25% of kids sexually solicited on the Internet told a trusted adult. 64% of teens report posting personal photos on the Internet and 58% report posting personal information such as where they live. Fort Collins police will host Internet safety presentations to increase awareness and provide tools to keep everyone safe from the dangers of the Internet. Family sessions will be held March 5, April 2, and May 7 from 6:30 to 8:00 p.m. (pick one). Families will be divided into three groups: adults; 8 to 12 year-olds; and 13 to 18-year-olds for age-appropriate presentations. Presentations will be held at the Fort Collins Police Services Community Room located at 2221 S. Timberline Road. To reserve your space . . . . Contact Randine Nelson at (970) 416-2384 or by e-mail at cm5lbHNvbkBmY2dvdi5jb20=. If we can't reach you, we can't alert you. Sign up for FREE emergency alerts on home, work, and cell phones, text messaging, and e-mail. Residents may now safely dispose of unused, unneeded and expired over-the-counter and prescriptions medications any day of the week to Fort Collins Police Services, 2221 S. Timberline Rd., Monday through Friday, 8 am - 6 pm; Saturday & Sunday, 8 am - 2 pm. This service is free & anonymous. Fort Collins Police have received authorization from the Colorado Department of Public Health (CDPHE) to participate in a daily drug take-back program allowing residents to dispose of their drugs more conveniently. This service complements the Nationwide DEA Drug Take-Back events. Items not accepted include intravenous solutions, injectables, syringes, mercury (thermometers), oxygen containers, chemotherapy/radioactive substances, pressurized canisters, and illicit drugs. Their first year behind the wheel is critical. That's why Colorado - and other states across the country - have adopted new Graduated Drivers Licensing (GDL) laws for teens. 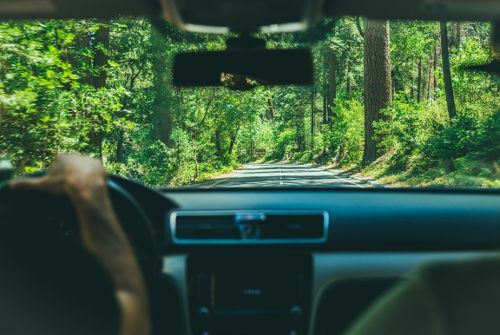 Click to find out more about Colorado's latest GDL laws and for more information about teen driving and how to help your teen become a better, safer driver.